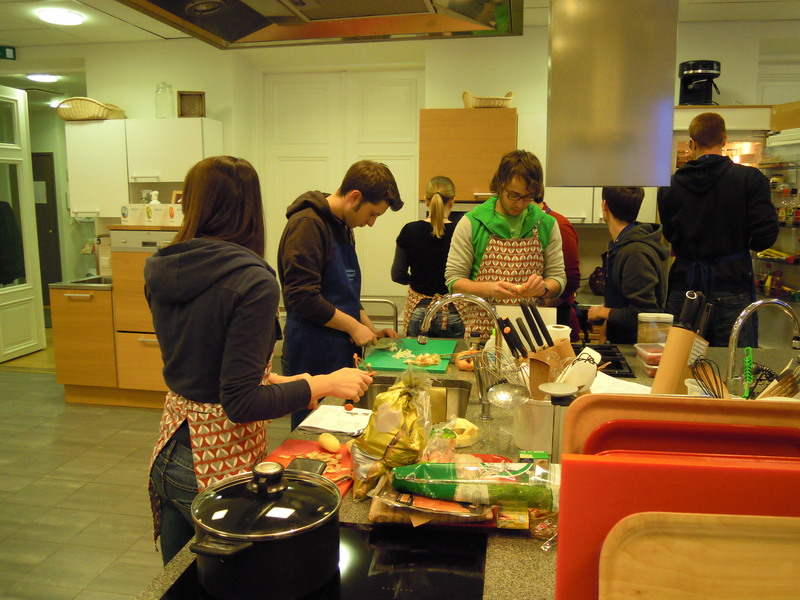 On Thursday 7th of April METKA organized a free Finnish cooking course for Metropolia students. 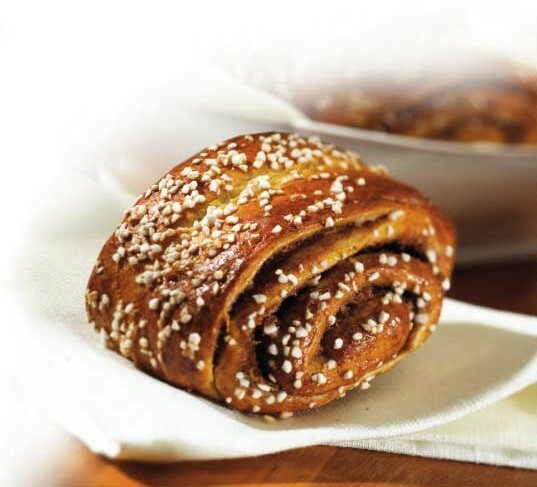 It took a place in the kitchen of Uudenmaan Martat, in Helsinki centre, from 17:30 to 20:30. Before starting to cook, Maria King “the chef” of the course speaking in English, explained all the recipes by showing them via slides on a pc. There were traditional Finnish meals: Finnish fish soup “ Kalakeitto”, Karelian rice pasties “Karjalanpiirakat”, Cottage cheese egg and butter spread “Raejuusto-munavoi”, Meatballs “Lihapullat”, Finnish mushroom salad “Suomalainen sienisalaatti”, thickened stewed berries “Marjakiisseli” and cinnamon buns “Korvapuustit”. At the end of presentation, the students were divided into teams and chose the recipe to cook. Each team received the necessary ingredients and started to cook in their cooking place by themselves and when necessary, together with the chef. The recipes were really good and not very difficult to cook thanks to Maria’s help. Students could learn and enjoy cooking at the same time. The course finished off with a delicious dinner with all students eating the meals they cooked themselves. While having dinner everyone was happily surprised at how tasty the food was. Among the cooked meals the best ones were the fish soup cooked with salmon, meatballs and cinnamon buns. Luckily there was enough food for all with some students having more than two helpings while other student took leftovers in order to give to friends that could not attend the course. This event was a great success and for those interested in doing the course: don’t worry maybe Metka will organize another free event later.